NIA CHARLESTOWN NEVIS (November 05, 2014) –Minister of Agriculture in the Nevis Island Administration (NIA) Hon. 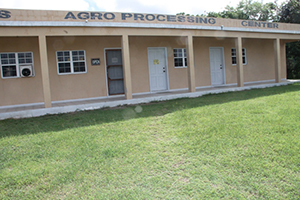 Alexis Jeffers says he is pleased with the operations at the government-owned Nevis Agro Processing Centre at Prospect. Mr. Jeffers made the comment after he toured the facility for a first-hand look at the operations there on November 04, 2014. The visit was part of a field visit to four government-owned estates on the island. The Minister spoke to the Department of Information of his experience during his visit to the facility. “There are much more pieces of equipment there that are used in processing the fruits and vegetables. 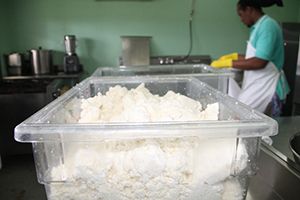 One of the main highlights…was done in providing the market here in Nevis with various styles of processing cassava. We would have seen cassava chips which is something new to the public here on Nevis, done in various styles – regular, spicy or even barbecue plus all the different products that are being produced there.I am told there is a tremendous market here on the island for these products. “Based on what I saw there the shelves were somewhat empty, not because there is nothing happening but because the demand is so great, that it’s a challenge to keep up with those demands. So obviously, we have to look at ways and means to improve capacity there, in terms of storage, to ensure we have the manpower to produce all of the necessary products that are being demanded but we have seen some improvement over the last year,” he said. Mr. Jeffers also noted that in an effort to raise the profile of the Agro Processing Centre and the industry on Nevis, the Nevis Island Administration through the Ministry of Tourism had opted to showcase them regionally and internationally through electronic media. 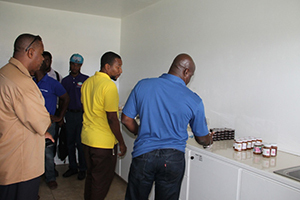 “As a matter of fact …the Agro Processing Unit and also the industry here on the island of Nevis, [have been highlighted] on this popular programme that we have started and this partnership we have started with Tempo [called] ‘Agriculture in Style’ and that would have been something that we have had good reviews about. 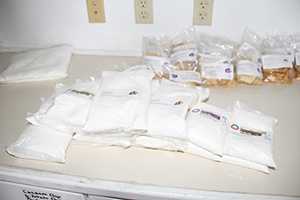 “It is all a part of our thrust to ensure persons are using local products and deriving the health benefits from these locally-grown products as well,” he said. 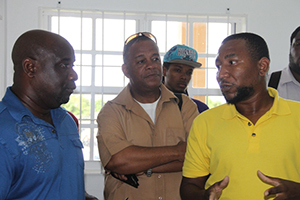 Mr. Jeffers used the opportunity to congratulate the centre’s Manager Dwight Brown and his staff for their work. Meantime, Permanent Secretary in the Ministry of Agriculture Eric Evelyn, who accompanied the Minister on the field visit subsequently, explained that the Department of Agriculture planned to cultivate five acres of cassava at the Indian River farm owned by the Administration. He noted that cassava was a traditional crop on Nevis which had not received adequate attention and was about to become the flagship product at the Agro Processing Centre where cassava flour and meal will be produced in addition to the cassava chips, a product that was already marketed at the centre. At present seven persons are employed at the centre.